Item # 316022 Stash Points: 2,495 (?) This is the number of points you get in The Zumiez Stash for purchasing this item. Stash points are redeemable for exclusive rewards only available to Zumiez Stash members. To redeem your points check out the rewards catalog on thestash.zumiez.com. 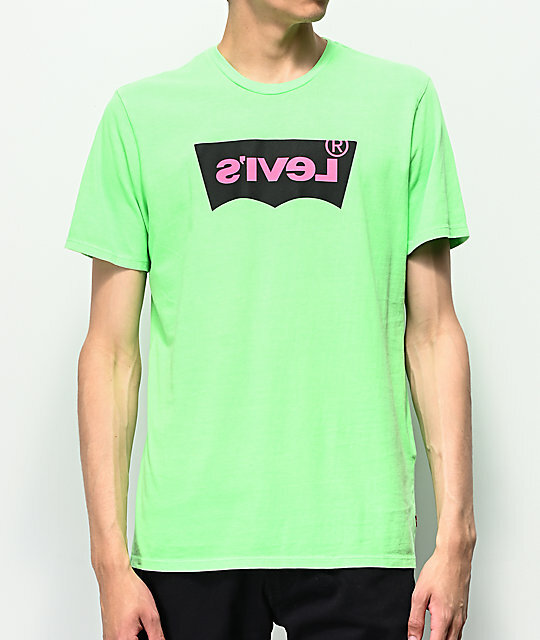 Brighten up your wardrobe with the Levi's Housemark Neon Green T-Shirt. Perfect for showing off your eclectic personality, this graphic tee features the brand's signature logo graphic on the chest in a backwards composition that's sure to turn heads and create some solid ice breaking banter. 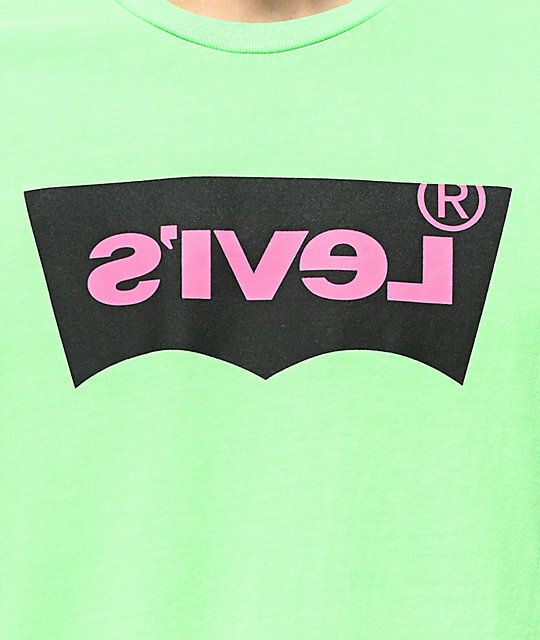 Housemark Neon Green T-Shirt from Levi's. Screen-printed logo graphic on chest in backwards composition.